Strolling amid vintage cinema posters at the Le Yacht Club gallery in Zaitunay Bay was a glamorous walk through the Golden Era of Arab film, albeit a brief and ultimately sad one. A colorful patchwork of smiling and theatrically glaring famous faces — Fayrouz, Sabah, Chouchou and others — these posters are themselves works of art, a lost art in fact. Lebanon’s once great cinema industry began with the silent film “The Adventures of Elias Mabruk” in 1929, and though the industry hasn’t stopped producing since, it took a tumble during the Lebanese Civil War and is today struggling under numerous challenges. This distant memory of an industry received a tribute in December in the form of a new book, “Tonight – Cinema in Lebanon 1929–1979” by Abboudi Abou Jaoude, and an exhibition dedicated to its release. Abou Jaoude has been collecting cinema posters as a hobby for decades, searching throughout Lebanon and other Arab countries like Egypt, Syria, Morocco, Tunisia, Iraq and more to find the cinematic treasures. He decided to produce the book when he realized Lebanon’s Ministry of Culture had no complete index of national films. His book tells the story of Lebanese cinema over 50 years, illustrated with hundreds of photos and posters, as well as press books, articles, advertisements and more. 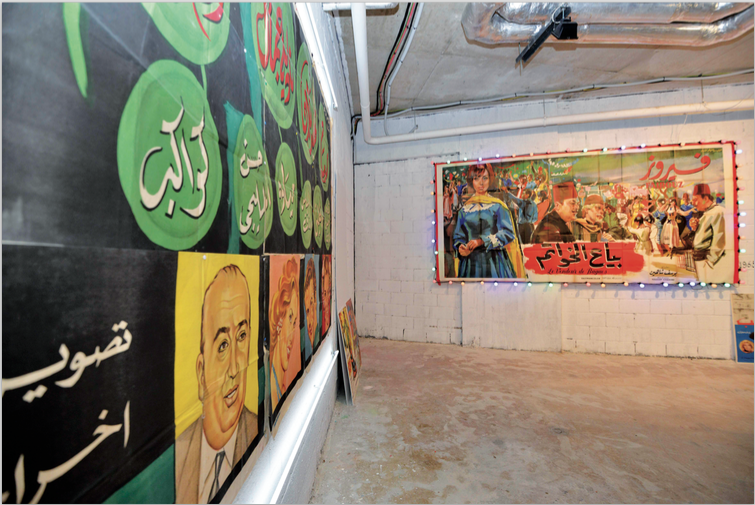 The public exhibition of Abou Jaoude’s private poster collection was held in association with BankMed and Fondation Liban Cinema (FLC), who adopted the project because they are fighting for the same cause — Lebanese cinema. 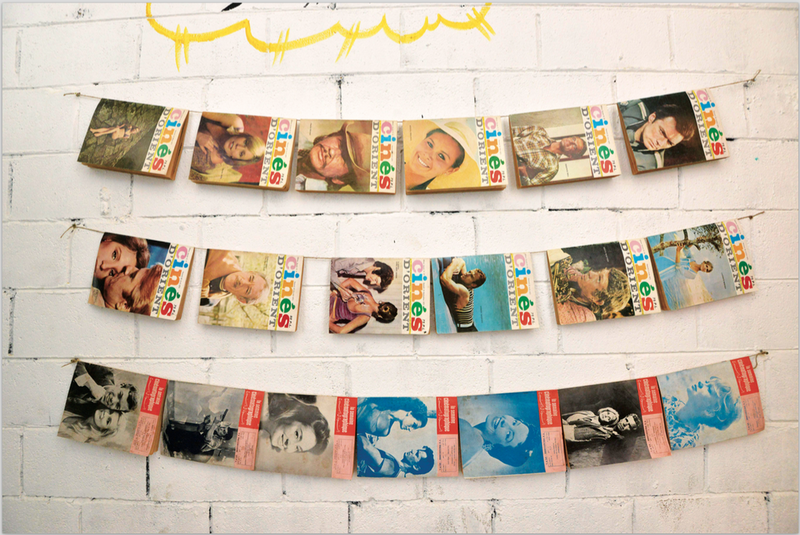 “Abboudi is so passionate about old movies and posters, and what he’s doing is exactly what we are doing. We have the same goal,” says Pamela Nabhan from FLC, adding that the organization is working toward developing Lebanese cinema. While the film industry boomed during the era depicted in Abou Jaoude’s book, today, a tiny remnant of the past is held together by a few very passionate individuals and entities including the FLC. Even with all the local talent today, there isn’t much hope the industry can return to its former glory. Referring to the book, Nabhan says, “This was the golden age of cinema, and not only cinema. The Arab World had peace. We still have many productions every year, very good productions, but now even the stories themselves are mostly about conflict.” She lists a host of challenges ranging from regional wars that affect the general situation, to censorship, all of which offset the visual stories Lebanon could have to offer. Nabhan acknowledges 2015 was not the best year for the local film industry in terms of features, with one exception being “Film Kteer Kbeer” which has been very well received in various festivals from Toronto to Morocco. But there are high hopes for 2016; a handful of filmmakers are currently shooting, with release dates planned for later this year.